I’ve kept my two fiddle leaf fig trees alive for over a year so I’m calling myself an expert now on their care (*Not). If you know anything about fiddle leaf figs then you know they can be a bit moody, to say the least. 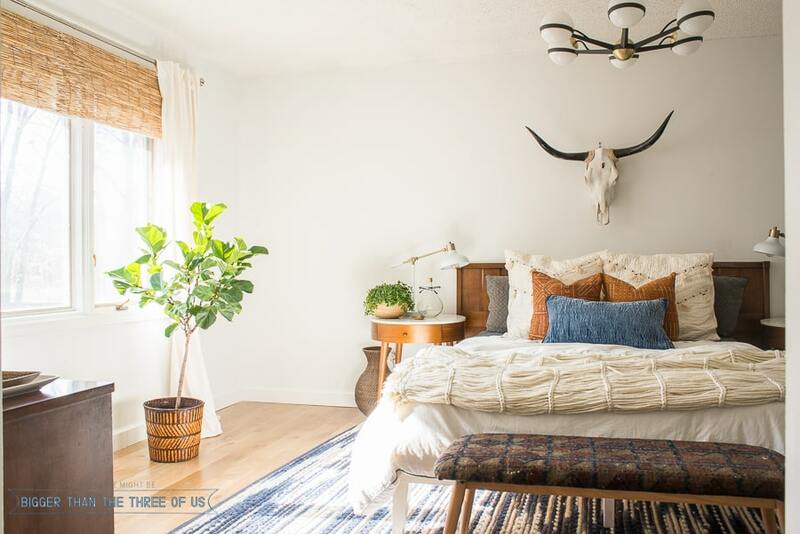 Fiddle leaf fig trees aren’t the easiest plants to care for if it’s your first rodeo. I actually did a great round-up of EASY Houseplants if you’d like to start with a few that are hard to kill! 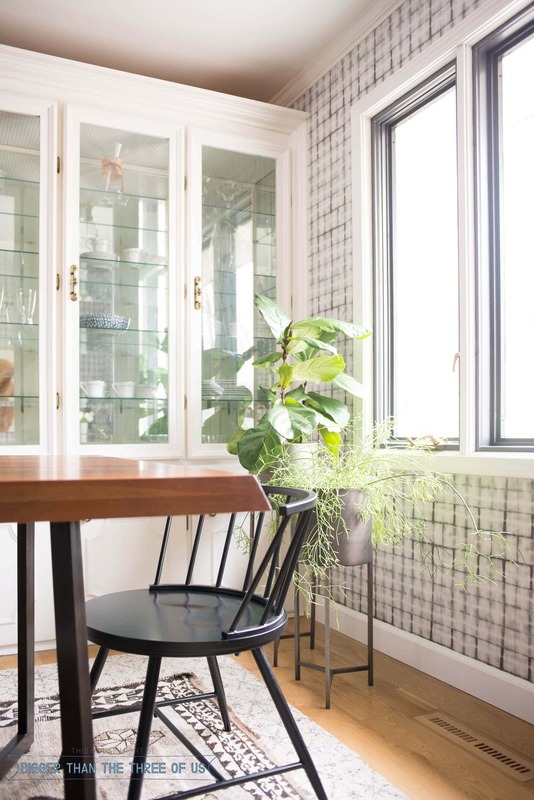 Seriously though, even though fiddle leaf figs aren’t the easiest to care for, they aren’t the hardest either. Once you get the two main components of their care down (light + water) then you are golden. 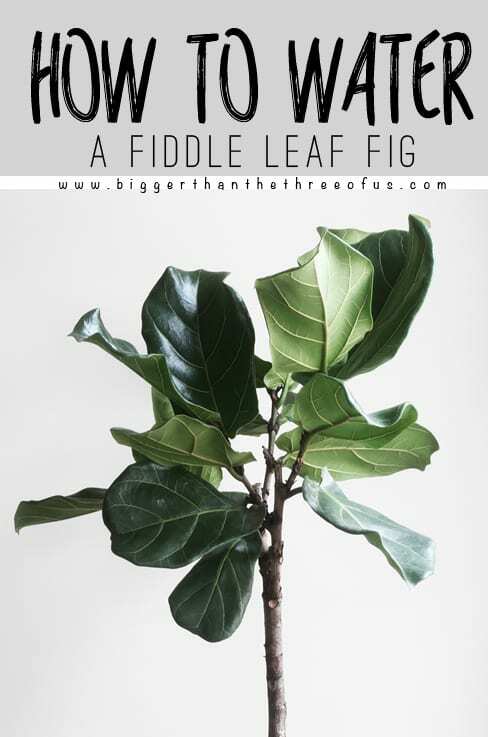 So, let’s chat about How to Water a Fiddle Leaf Fig and I’ll also touch on what type of light works best, too! I have three Fiddle Leaf Figs. They range from 3ft-5ft. I’ve had two of them for over a year and the other one, I’ve had for about 6 months. Recently, I’ve randomly found them in town (once at Walmart and once at Home Depot). Before that, they could only be found at local nurseries and most of those I found to be really expensive. So, my first one I bought from Home Depot. Here’s the exact one that I bought. It arrived quickly and was exactly like the picture. If you’ve been wanting a real fiddle leaf fig and haven’t seen them in stores, then I’d definitely recommend that one. I’d been following directions that I heard from all over. The general consensus, from what I heard, was one cup of water every week or so. So, I did that. My little plant (the one from Home Depot) was doing fine but I wasn’t getting a ton of growth. Then, I picked up my Fiddle Leaf Fig from a local nursery that was trying to get rid of them. I think I paid $50 for the 5ft fig and that’s a steal. Anyways, I was talking to the owner of the store and he recommended baths for the fig trees. I’d never heard that before but I’ve been doing it ever since! *Disclaimer: I posted this on my Instagram stories last year and had lots of good/bad feedback. Here’s the deal, I live in an area with lots of water and we have a well, so I don’t feel like this is a bad use of my water. HOWEVER, if you do feel like that then I totally understand. 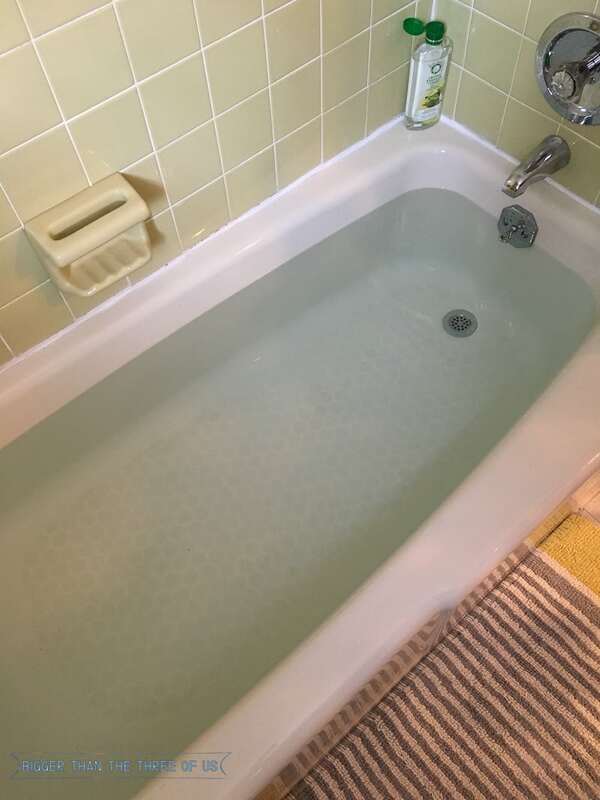 I fill up my bathtub (aren’t you jealous of my gorgeous, 50 year old bathtub?) with lukewarm water. I take my fiddle leaf figs out of whatever vessel they are in and get ready to dunk them. I hold them down in the water until all the air bubbles escape (this was recommended to me). I’ve never timed this but I’d say this takes about 30 seconds. From what I was told, this allows the roots to really soak the water in. 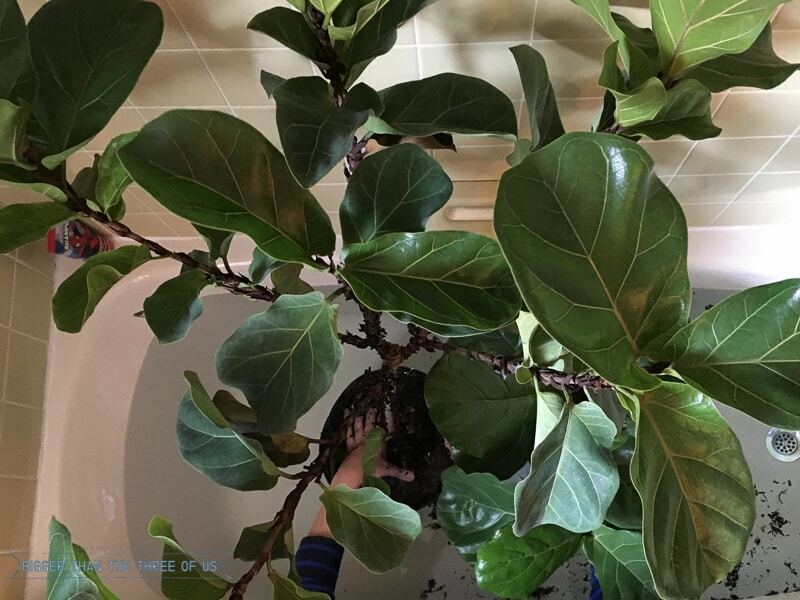 After that, drain the tub and let the fiddle leaf figs dry in the tub. Don’t try to clean the tub up at this point. If you do, you will only spread mud and soil around and make a mess. Wait till the tub dries and then grab a broom and just sweep it up. After I do that, I give it a quick cleaning but it’s really not very dirty once you sweep up the dirt. **Another thing about water usage, if you do this method and like it, make sure to use the water in the tub for all your other plants too. I have tons of plants so I will just use this as my watering day and it works great. 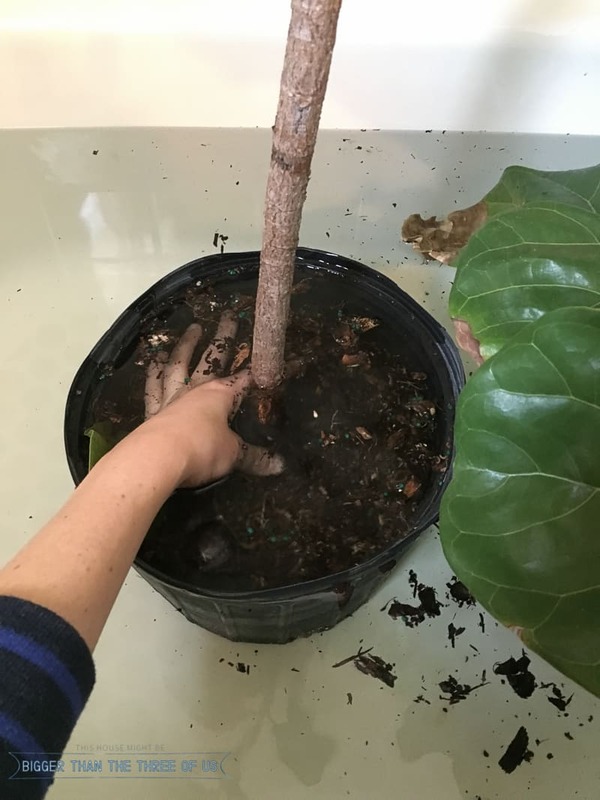 Ok, so how do I water my fiddle leaf fig tress? Well, I try to do it about once every 14 days or so. When the leaves start to droop or the soil is bone dry, you know it’s past time. Do you see how the fiddle leaf fig leaves are drooping? At this point, it definitely needs water. I’ve found that it can be best to just watch for the leaves to droop and then water immediately when you notice it. Ok, now onto lighting. 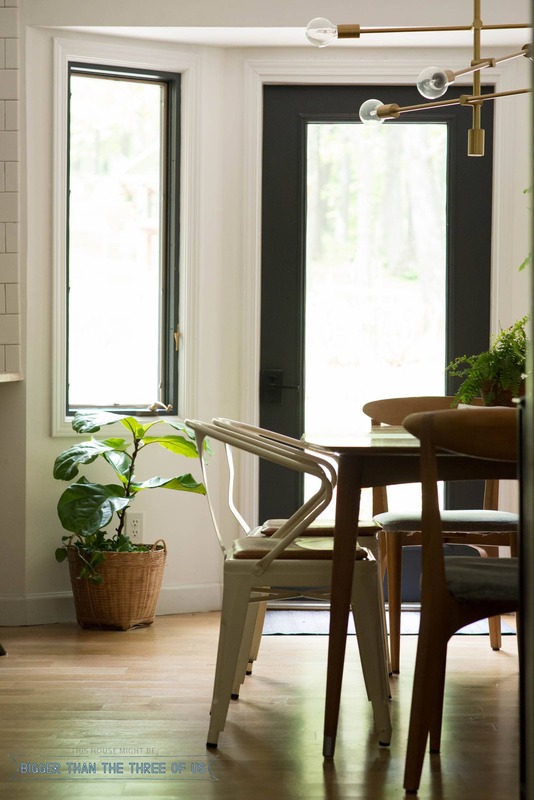 I have all three of my fiddle leafs in a window that faces south and this is working great for me so I’d say south windows are the best light for fiddle leaf fig trees. We don’t have east or west windows in our house (is that weird?) and our north facing windows don’t get the best light because of tree coverage. So, I pretty much had to go for a south facing window. 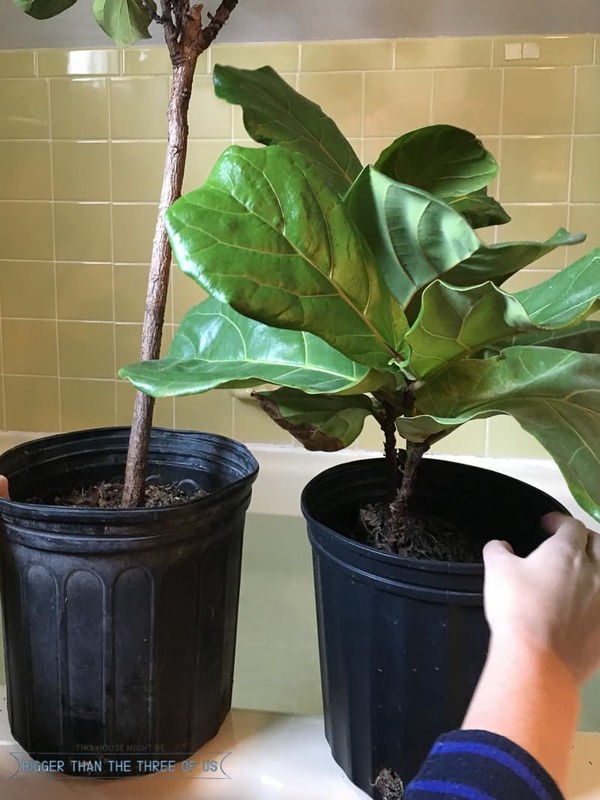 Hopefully, this post helped you out with how and when to water a fiddle leaf fig and the best light for a fiddle leaf fig trees. If I scared you off from them, I really didn’t mean to! Seriously, they aren’t that hard but if you love them and don’t think you could keep one alive, then these fake one’s look pretty darn good. So, tell me… have you ever watered your plants like this?